We've put it all together. The new Advanced Technology Tandy 1000 comes equipped with everything you need for personal computing—including multi-function user disk software. We put word processing, spreadsheet analysis, electronic filing, telecommunications, a calendar and electronic mail all on one disk. We call it DeskMate. 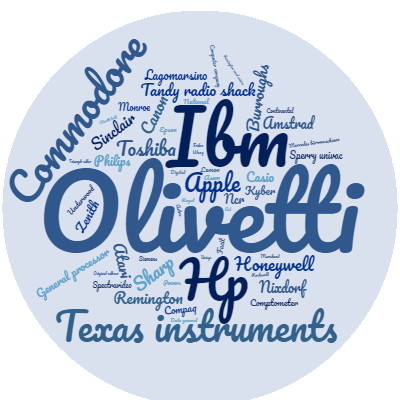 And it's included with every Tandy 1000. The Tandy 1000 also lets you choose from programs like Lotus 1-2-3, the pfs:series, dBASE II and more. And unlike IBM's PC, the Tandy 1000 includes adapters to use a monitor, printer, joysticks and light pen, plus "extras" like DOS and BASIC. 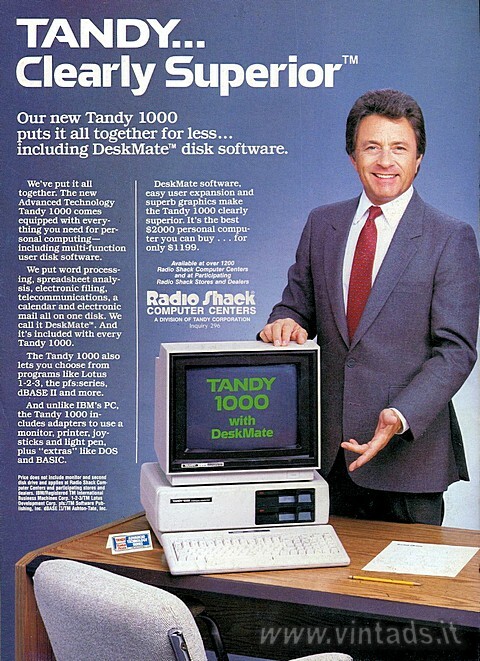 DeskMate software, easy user expansion and superb graphics make the Tandy 1000 clearly superior. It's the best $2000 personal computer you can buy... for only $1199.